Girls who ride together... party together. Duh. 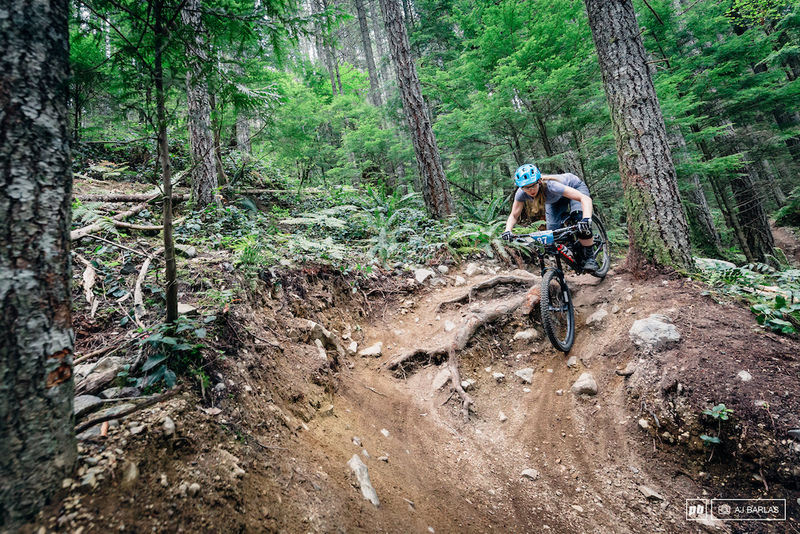 The best race to ever grace mountain biking just occurred this past weekend in Squamish, BC. While I admit that this statement is based on my opinion and not on facts, I find it hard to believe that anything could compare to Hot On Your Heels, except perhaps what they will come up with for next year’s event. 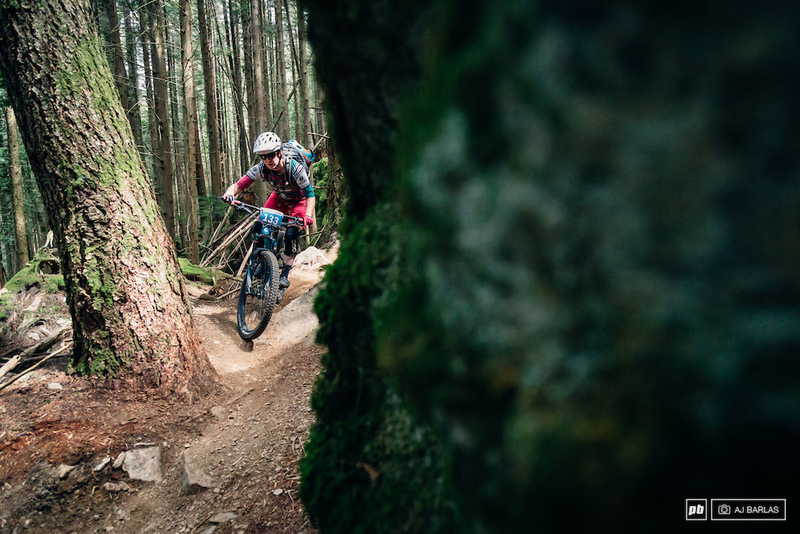 HOYH is a women-only enduro race that is the very definition of fun. 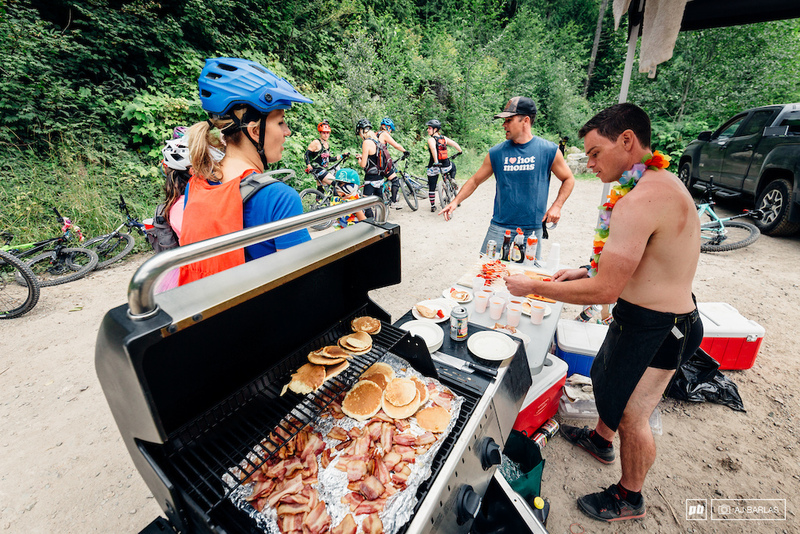 From half-naked men giving massages and making smoothies to shots of Baileys and gummy bears to enjoy before dropping in on your race stage, this race had it all. Registration for the best day ever. 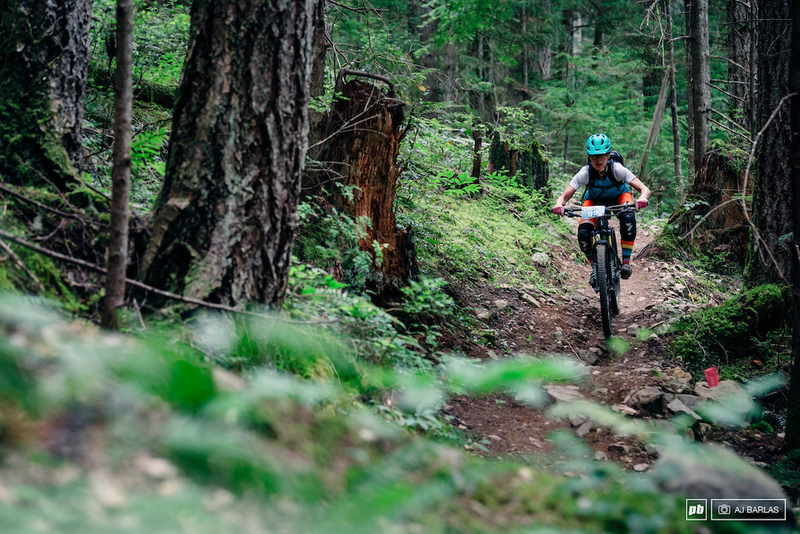 HOYH is the brainchild of race organizer Melissa Sheridan, who noticed that something needed to be done to help and encourage more women get into mountain bike racing. 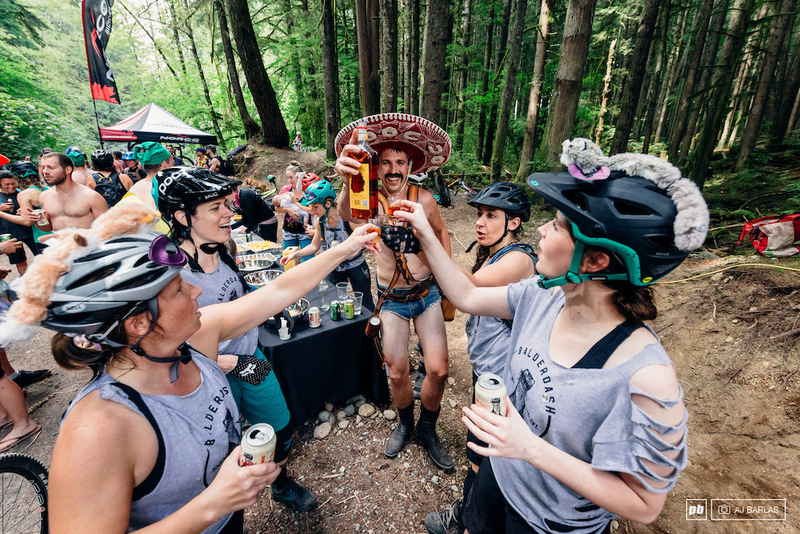 Her solution was simple: women-only riders, male-only volunteers, fun trails, and a wicked after party! Running for its 5th year in a row, HOYH saw record-breaking attendance with 254 women participating, selling out within 3 days of opening registration. 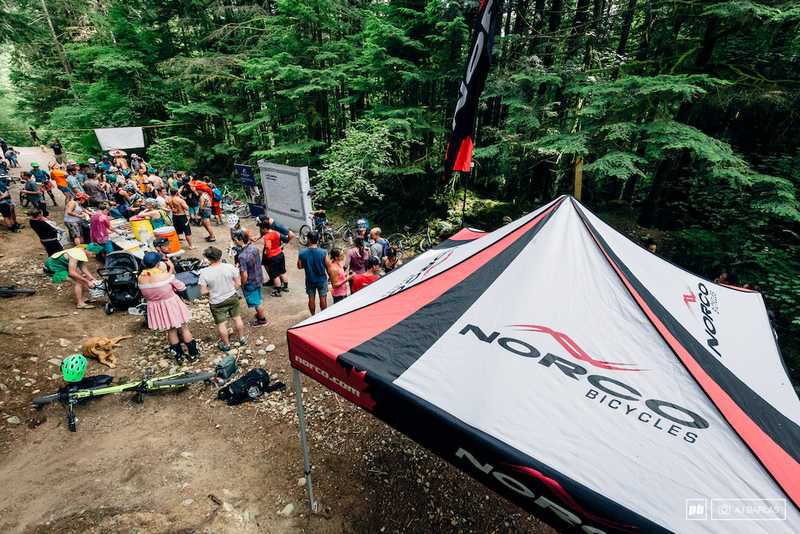 With a team of 60 volunteers and Norco and Republic Bicycles backing the event, the race was marked, manned and made possible again this year. Once again, proceeds from the race went to support Go Girl, a division of Big Brothers Big Sisters, and this year just over $4,100 was raised for this great mentorship program. With excellent communication leading up to the event, a formal rider’s meeting wasn’t needed. 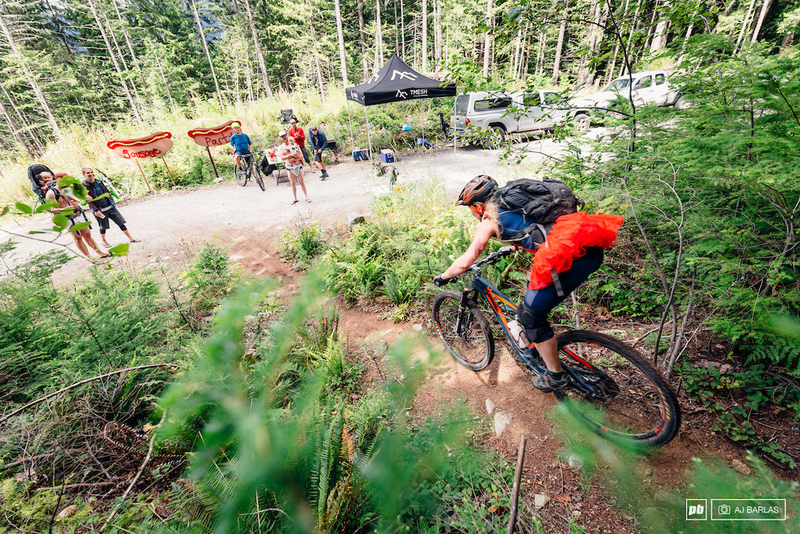 Registration ran throughout the morning, with riders leaving in 30-minute waves to help spread racers apart and lending to the relaxed race environment. 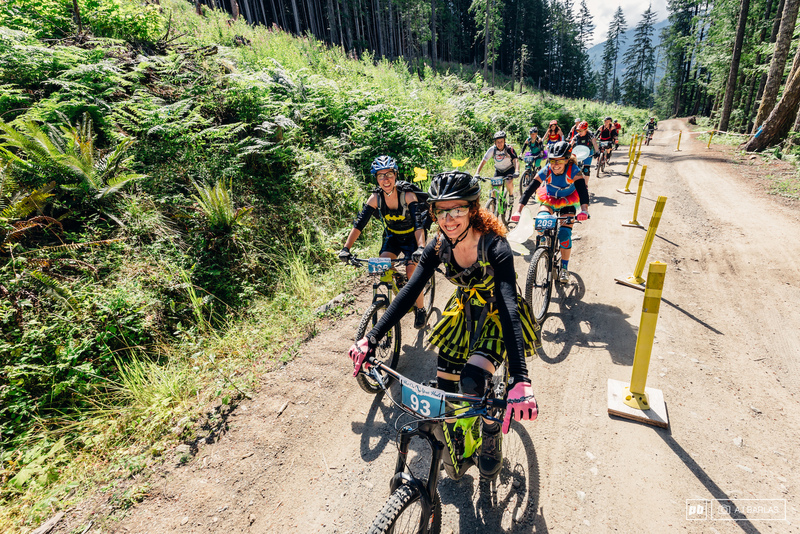 It was the small details during the race that kept the ladies smiling throughout the 25-km long course, like having volunteers help carry your bike over fallen logs while you climb over them, and all the tasty treats and snacks along the way. 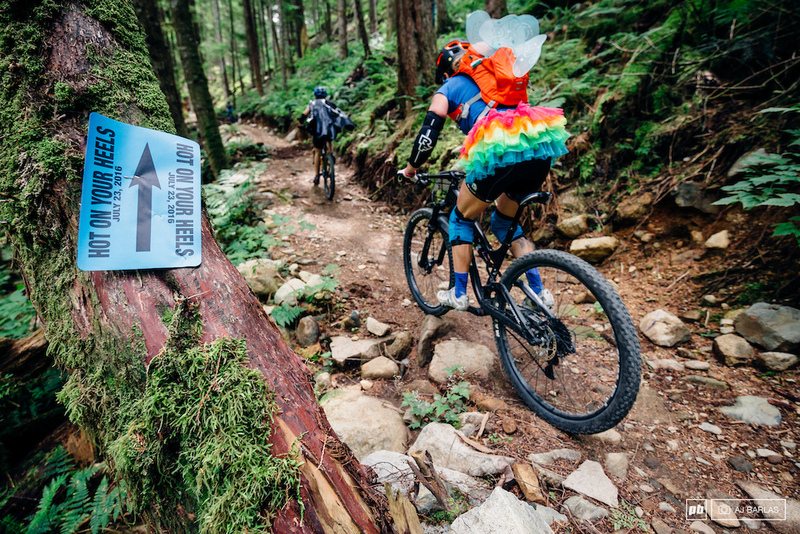 The volunteers were allowed to create whatever feed stations they wanted, and they did not disappoint. 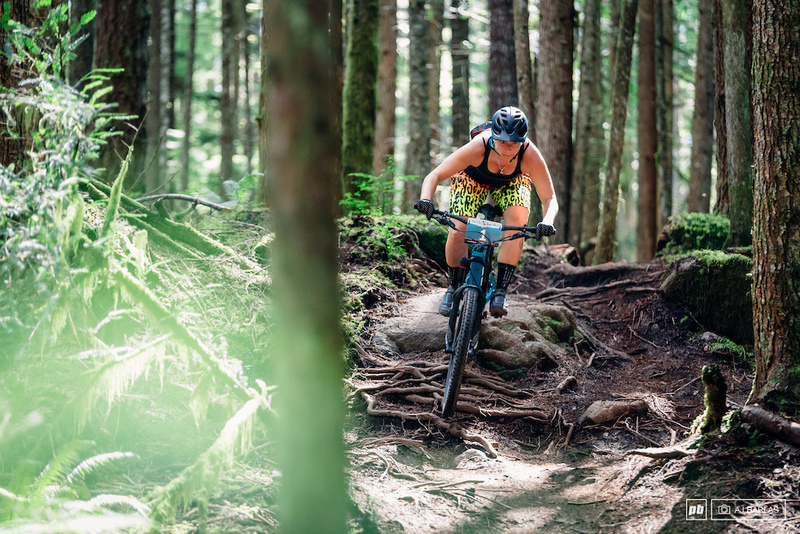 The racecourse was made up of 5 timed sections, each one featuring a different trail and a different style of riding, from full on DH to super pedal-heavy technical trails. 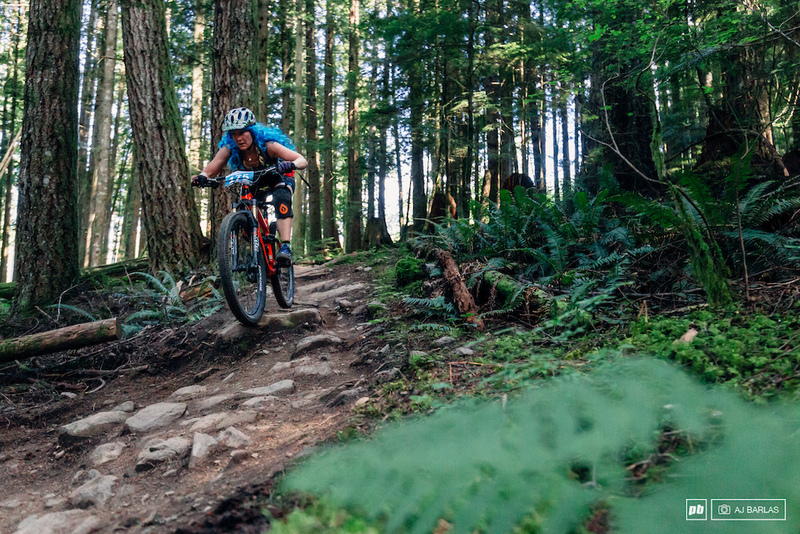 The timed sections were set up to make the race inclusive of all riding abilities, but fun and challenging for everyone. 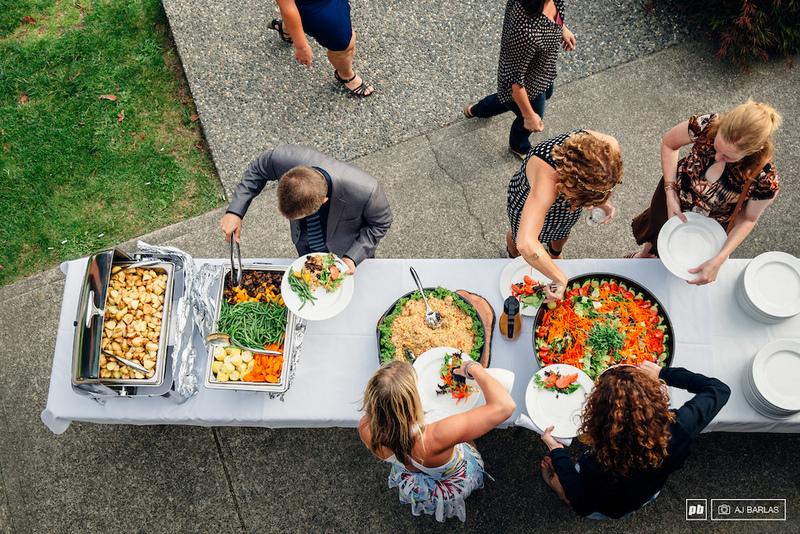 The feed stations were some of the best I had ever seen, with orange and watermelon slices, chips and Gatorade, and tequila or vodka shots being served by men wearing suit jackets and boxer briefs. The ever so supportive volunteers were handing out M&Ms at the beginning of stage 3, and a tartan-wearing Highlander was offering up shots of whiskey to celebrate at the end of stage 4. There was even a lemonade stand put on by the cutest little fans half way through the course - with the option to spike your drink should you need extra courage for the pedally section ahead. 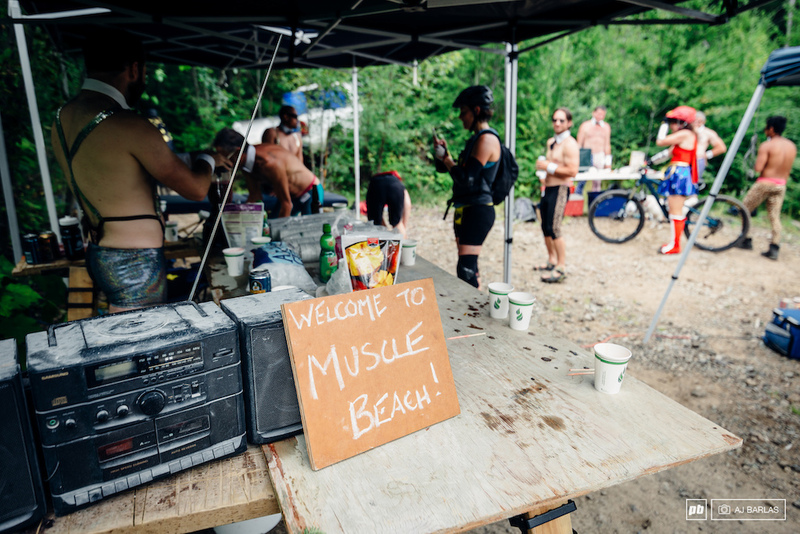 At one of the rest stops, 7mesh hosted a feed station affectionately called the Sausage Party. I’m not sure what was more awesome: the fresh-off-the-grill bratwurst to fuel up with, or the Daddy Daycare that was happening. 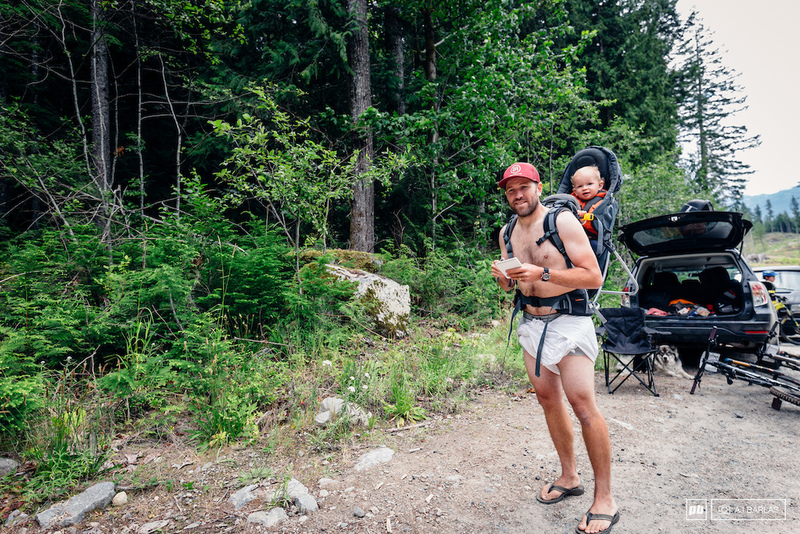 A row of tents and cribs lined the road as babies napped while Daddies volunteered and Mommies raced. Welcome to the Sausage Party. Daddy daycare in full effect. Who doesn't like bacon and pancake on race day? Probably the undisputed highlight of the race was the last fuel station. The final transition stage featured a long climb, and near the top the racers were rewarded with a trip to Muscle Beach. Women were greeted by buff bronzed men who valet parked their bikes and welcomed them to their sanctuary. There, you could choose from fresh blended smoothies, massages, innapropriately shaped posicles, or bacon, fresh off the BBQ. 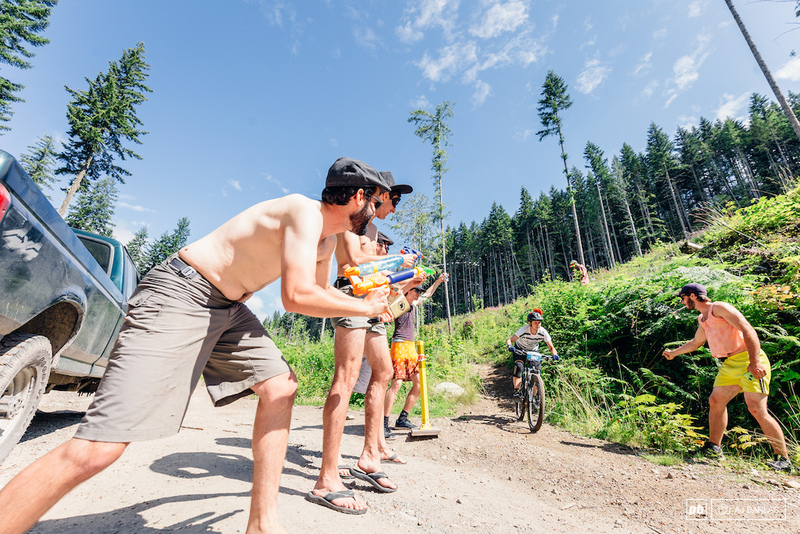 Spandex and thong-adorned men offered sponge baths to cool you down before your final stage. It was hard to leave. Yes, yes you can massage me. 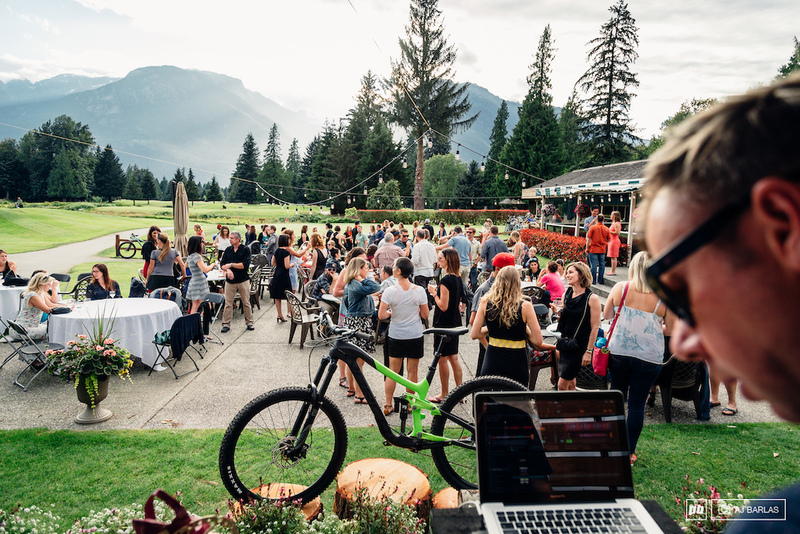 Once all of the riders were finished the race, the party wasn’t over. 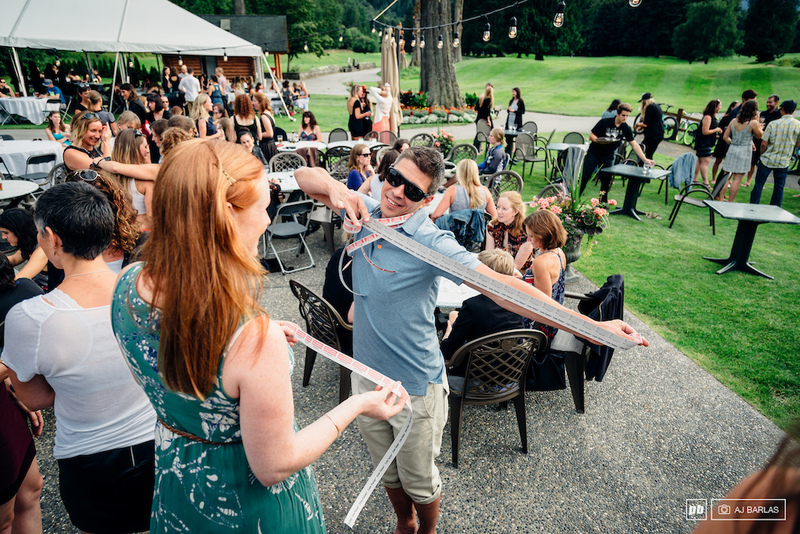 The Squamish Valley Golf and Country Club hosted the after party, transforming their patio into a beautiful garden party. 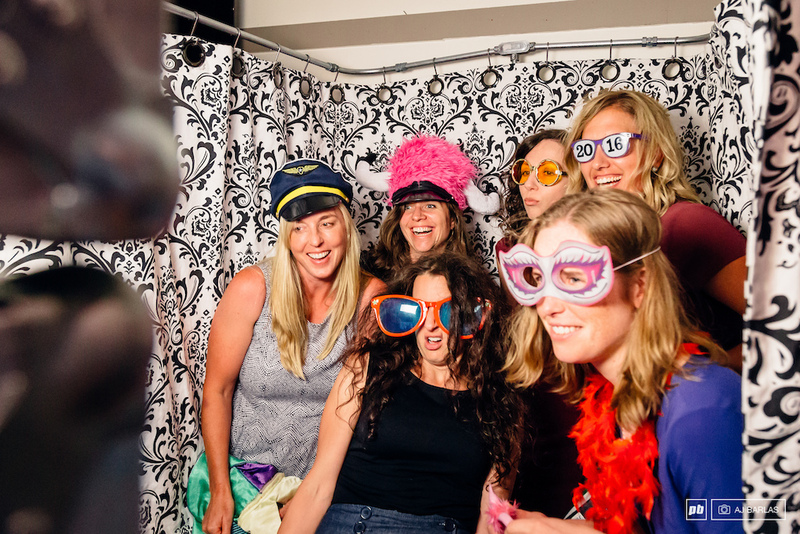 With a delicious spread, a photo booth set up by the Eagleview Veterinary Hospital, and DJ Julian Hein on the mixer, all of the ladies and volunteers were able to celebrate the end of a good day in style. 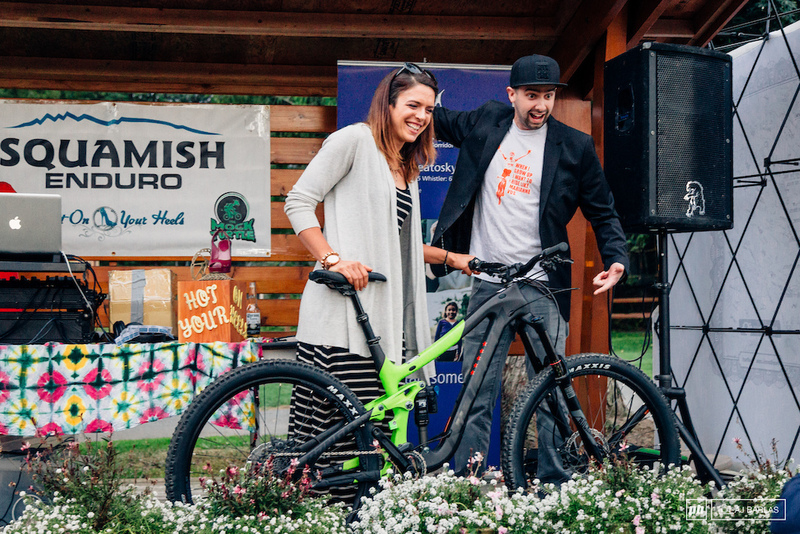 Thanks to the many sponsors, there were tons of great prizes to be won during the raffle, but the coveted prize was a 2016 Norco carbon Range 7.3, and the lucky winner was Claude-Anne Godbout-Gauthier. Great venue to finish a great day. All of the raffle tickets. Photo booth fun, thanks to the Eagleview Veterinary Hospital. Claude-Anne, winner of the 2016 Norco carbom Range 7.3. Although everyone walked away feeling like a winner, it was a race and times were taken. 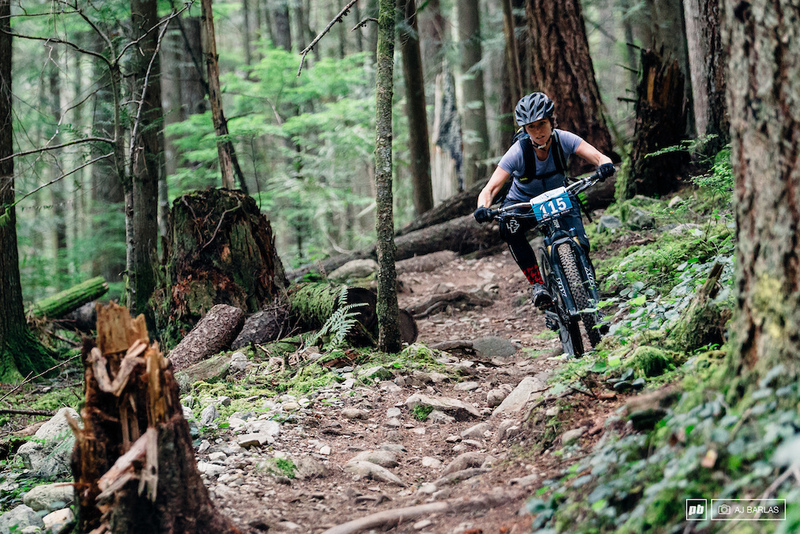 Squamish local Chloe Moberg represented the Junior Women. Registration opens in the Spring of 2017 – Mark it in your calendar now, so you don’t miss out! See all of the photos from AJ Barlas here, here, and here. 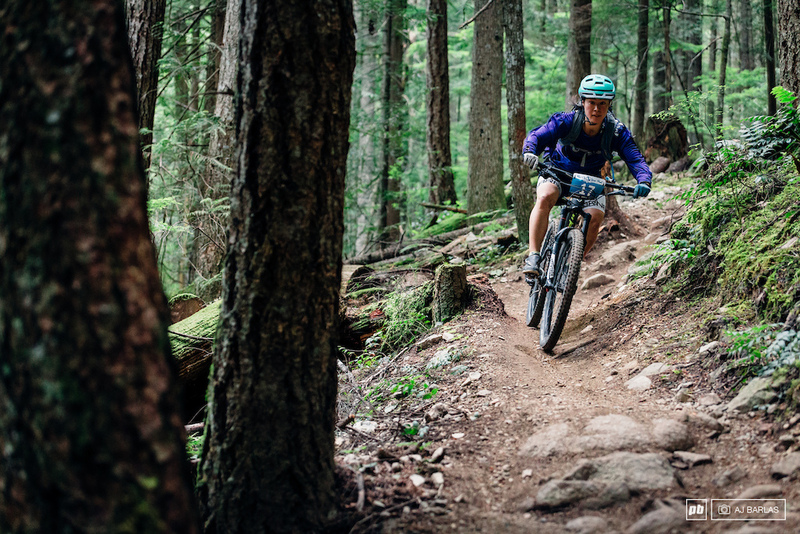 So great having events like this for women in Mountain Biking. 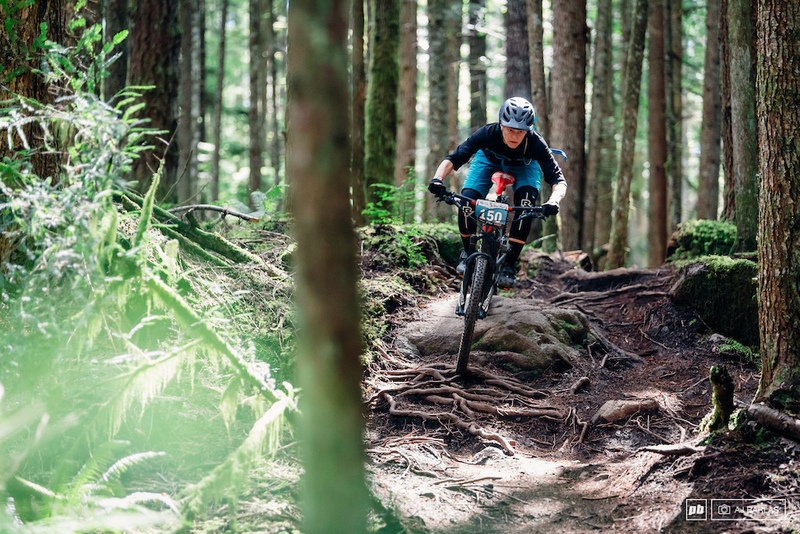 Sure, all races have a women's category, but they can be intimidating at times for ladies with less experience racing. 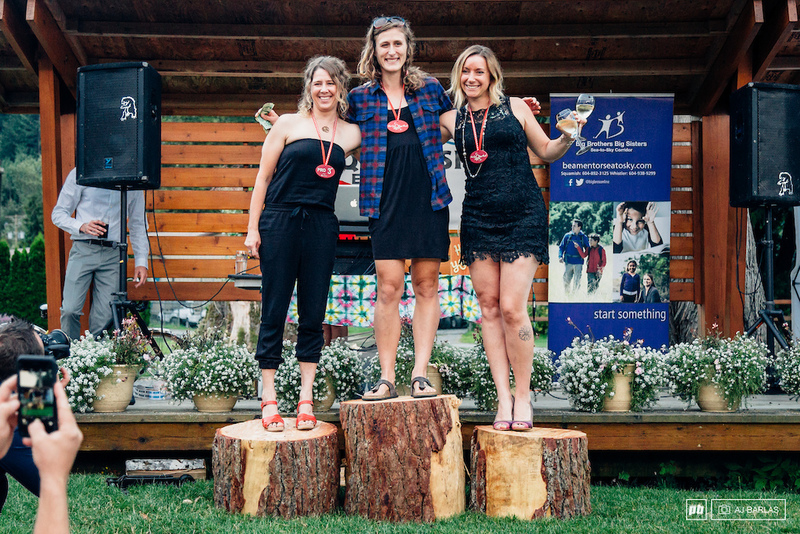 Awesome to see stuff like Hot on Your Heels, and the Sugar Showdown as events that both celebrate healthy competition for women, as well as create a friendly environment for newcomers to the sport. We need more of this for sure! As a dad mnt biker raising two girls, I cannot agree more. That's my wife getting man handled on the massage table...she never mentioned this? Oh well...how could you resist those g-bangers! This is amazing - looks like a great event with an awesome vibe. Nice work to all involved and particularly Melissa - she's the best! Sounds like a great idea if it gets more women psyched to race. Would be nice if "regular" events attracted this many women too. 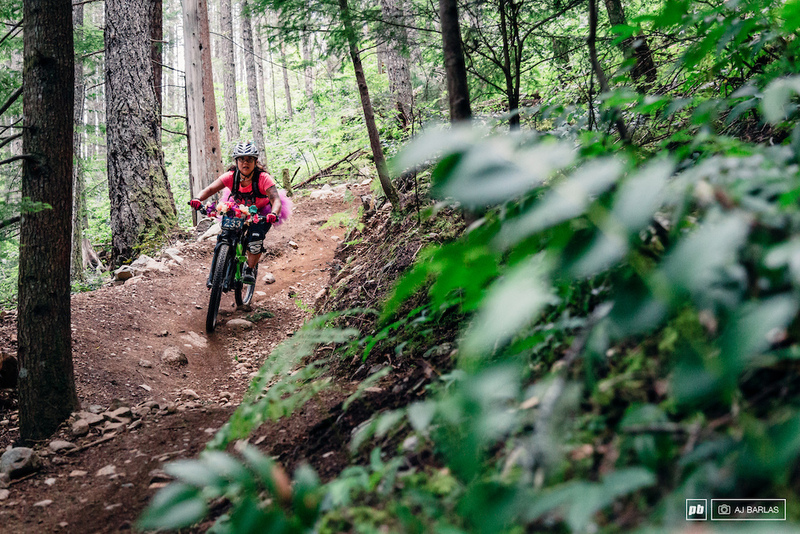 It is great to see more woman mountain biking, very promising for the future. I was riding around the race area, and it was such a cool vibe, way to go girls!!!! 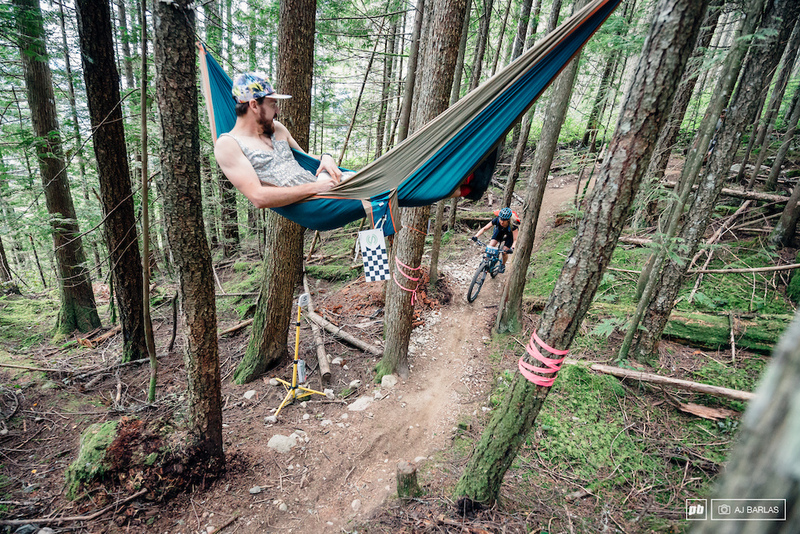 Oh man hammocks! Why didn't I think of that! Available from the hammock district, down on 3rd. @Zaeius: One of the best episodes ever. That made crack up the moment I saw it. @Lookinforit: Sorry, meant to credit you as well for the original comment. literally my favorite episode of all times. "ever see a guy say goodbye to a pair of moccasins?" how come girls always have more fun than boys? Very cool event, looks like a great time for all involved! Melissa is so Rad, Rolando is a lucky guy!! Whoa thats a hell of a dinner/party/gala/prom at the end of an enduro race!! Jealous! This looks SO FUN. Bucket list material! Soo why doesn't every mens race have a bunch of half naked women everywhere.... oh wait thats sexist. Um! It happens in the STS. See Link. Hmm you might want to switch to road racing or moto if that factors into your choice of race series! Why is there so much hand holding for women to get in the sport where as men just get out there and do it? I'm getting a general sense that women don't like you in real life, therefore you are all over these forums bashing women. You spend way too much time on these forums complaining. 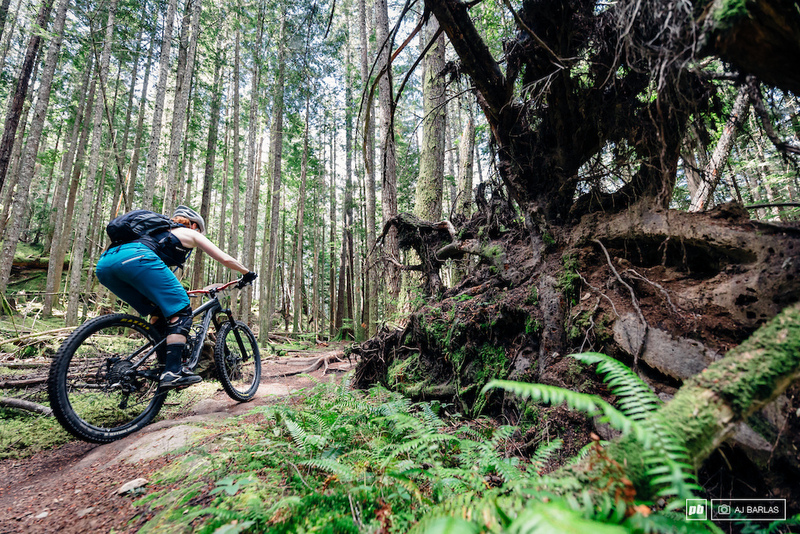 Just go ride your bike. @Reacher: Not a fan of treating women like they need to be handheld through everything, if they want to do something they can do it without the coddling. If anything that a more egalitarian philosophy.